Walking into their split-level 1958 Seattle home always created a bottleneck for the NyQuist family. Kristen, Steven and their three kids — Elliot (age 8), Clio (6) and Shepherd (4) — would often get stuck on a 5-foot by 3-foot landing, where they would crowd around peeling off their backpacks and coats before shuffling farther into the home. So Kristen turned her attention to a coat closet (seen here) at the top of the stairs. 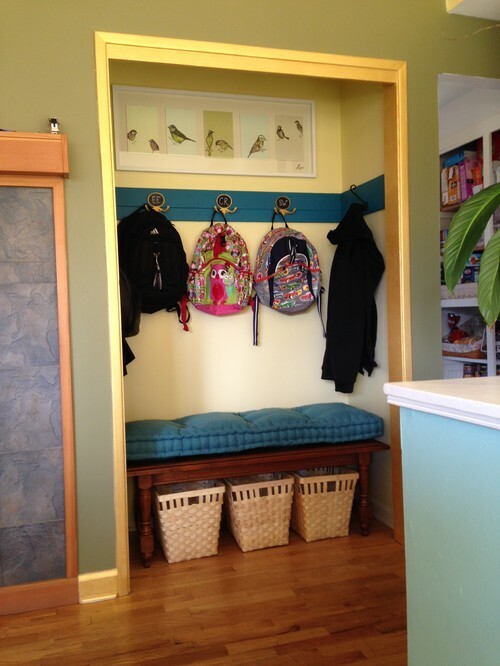 She plowed into Houzz in search of inspiration and came up with a solution to turn the closet into a recessed mudroom of sorts. 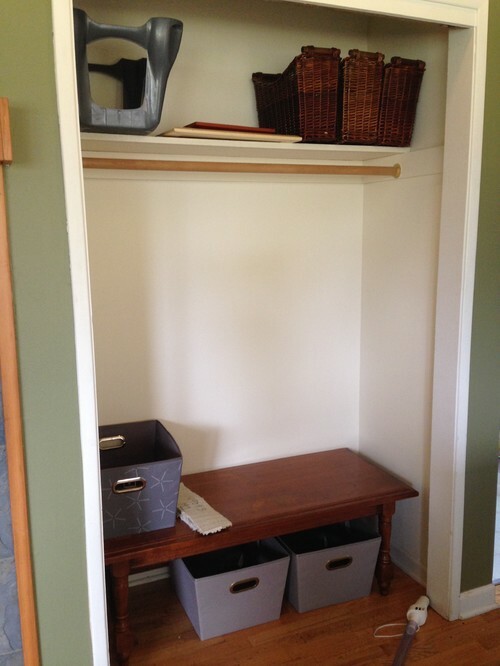 BEFORE: The closet was unappealing with the doors on. When Kristen removed them, she knew she had to turn the space into something visually pleasing. Previous Previous post: Cash is still king! Next Next post: Are you ready for rates in 2015?